Utilising the wireless and rather snazzy keyboard, players type in the Pokemon Monster names as fast as possible in order to progress and capture them. The monsters can later be viewed in the form of a notebook like a true scientist. 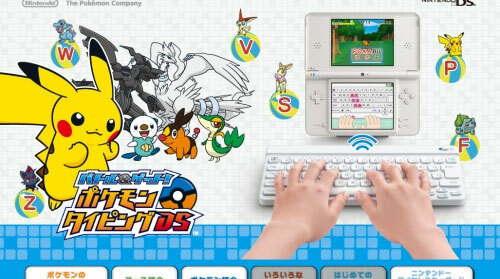 The names appear above the monsters in both hiragana and in English giving players of any nationality a chance to compete and boost their speed typing at the same time. As with all fine Nintendo titles the tutorial helps no end.